Back in May, I was invited to an open house at Todd Treaster’s house in Burnham, PA. For those unaware, Todd is an engineer for Norfolk Southern, often working in helper (snapper) service over Horseshoe Curve or on the Lewistown Local, along the former Pennsylvania Railroad, then Penn Central, then Conrail, now Norfolk Southern Middle and Pittsburgh Divisions. Todd has an enormous N scale layout in his basement. The numbers are staggering; his model of Enola Yard alone is 54 feet long; he routinely runs trains in excess of 100 cars in length; his trains travel through six different rooms (including a bathroom) on their long journeys. Some 1500 N-scale locomotives and nearly 15,000 cars are available for use on the layout, or are on display in 50 glass cases around the basement. It’s jaw-dropping. 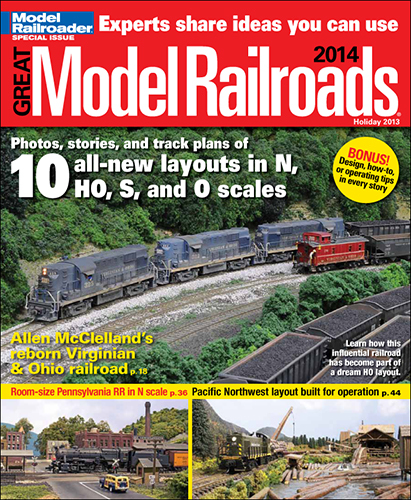 Todd’s layout has been featured twice in N Scale Railroading magazine. Todd has done more in 3 years’ work on the current layout than most of us do in our entire model railroading careers. The result is a layout very heavy on scenic running, much like the real former PRR through central PA. We often focus our modeling efforts on towns, yards, and industrial areas, but in reality such scenes are separated by dozens of miles of just plain track and trees. Todd really nails that scenery-to-trains-and-towns ratio. Moreover, Todd and his wife are fantastic hosts; Mrs Treaster’s famous meatballs are amazing! They opened their house to friends and strangers alike. I brought my then 5-year-old son with me, and while he was very well behaved anyway (he’s a really good kid), the Treasters gave him the run of the basement, and even let him pull a coal drag out of Enola Yard! We all received free T-shirts, and they gave my son a pair of train puzzles. Amazing! So, what did I learn??? 1. Looking over Todd’s model of Enola yard, we saw Penn Central, Conrail, and Norfolk Southern; a veritable history of railroading in Pennsylvania for the past 40 years. On the day I was there, many of us had brought Pennsy steam-era stuff, and so that opened the bracket to 60 years of history. It was like a museum. What a warm, happy feeling! Here were all my childhood favorites, from what I saw running on Conrail and Amtrak as a young man to what I saw in the Railroad Museum of Pennsylvania, except that everything was running! 2. Since Todd’s layout is very scenery-heavy, it works for almost any era. My 1950’s era drag freight hauled by an L1s 2-8-2 looked just as at-home on Todd’s layout as his CR/NS Triple Crown trains hauled by SD80MACs. 3. Todd doesn’t get wrapped up in build dates, road numbers, or dimensional data like I tend to. How can he, building on the vast scale he does? I began to realize that Todd might be having more fun at this than I am, and that’s saying something since only my family brings me more joy than trains. 4. Todd’s trees tower over his trains. My trees are too small. Todd has the right scenery-to-trains ratio, but that even extends to his tree-to-train ratio. But since his ridges extend above eye level, the effect is amazing. 5. While I often look with disdain upon the code 80 track I used on my own layout, on a layout as vast as Todd’s, you don’t get wrapped up in that sort of thing. It’s huge. And somehow, Todd has managed to carefully paint and ballast an incredible amount of track in addition to the other work on the layout in those three years; his track looks awesome. And, it’s reliable as heck. That’s rule one for an enjoyable model railroad; the track has to work all the time, every time. By this time I had dabbled a little in expanding past my July 1956 PRR era and had purchased a few Conrail and Penn Central cars. After enjoying the rolling history of Pennsylvania railroading at Todd’s house, and after meeting so many of the leading N scale eastern modelers, I decided to go for it and add a second roster to my small layout. Now I run Pennsy in 1956 or Conrail in 1980. This was in no small part a result of my wonderful time at Todd’s house. This latest initiative has completely reinvigorated my zeal for the hobby. Best of all, my son still talks about Todd’s layout, asking when we’ll be able to build one just like it! Hi, this is Dave’s wife. Dave has been scarce from the forums/blogosphere from an emergency appendectomy Wednesday night. He’s came home from the hospital Friday evening and is resting comfortably. He’ll likely be back online this weekend. On 4 August we received our household goods here in Bellevue, Nebraska after moving from Apex, NC (by order of the USAF). We’ve been working hard on unpacking 14,000 pounds’ worth of stuff, so it was only Saturday (my 34th birthday, incidentally) that I was able to open and set up my layout. Last weekend, before the stuff came, I painted up the basement walls a nice bright white. Previously it had been used as a girl’s bedroom and was painted alternating stripes of pink, purple, and a very loud red. Much primer was needed. True to expectations (and the last move) it emerged from its plywood crate completely unscathed! I built the crate out of 5/8″ plywood and framed it with 1x and 2x stock. I’ve photo-documented the entire process from tear-down to crating to loading to unloading to setup. 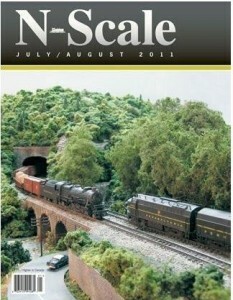 I plan to submit it as an article to the N scale press. The first train to operate over the relocated Juniata Division was a 1980s-era mixed freight led by Conrail GP38-2 #8097. It was followed shortly thereafter by PRR H10sb-class 2-8-0 #8756 with a 1950’s-era local. The next task is reconnecting all of the signal controllers and the sound system.I can’t find my Bright Boy, yet trains are running perfectly smooth in DCC without a track cleaning in over 3 months; this makes me a firm believer in “the more feeders the better.” I think I have a total of 13 feeder pairs on this tiny layout.